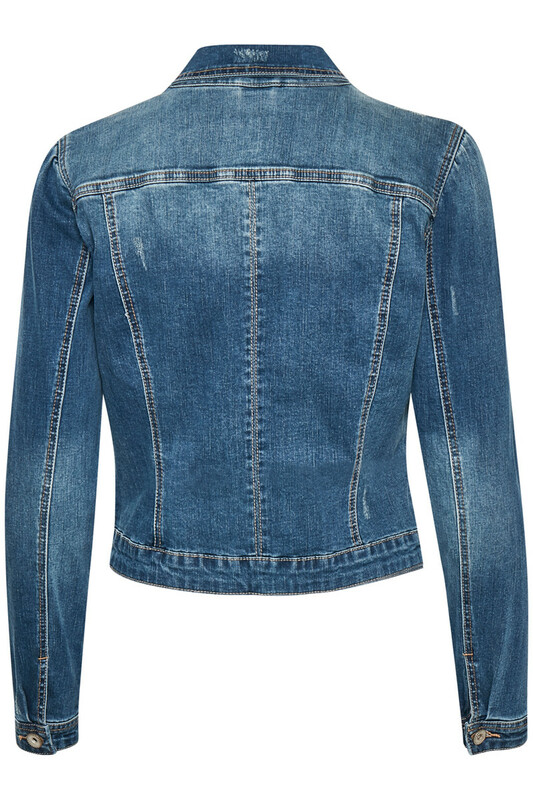 Cool denim jacket in a soft and stretchable quality. 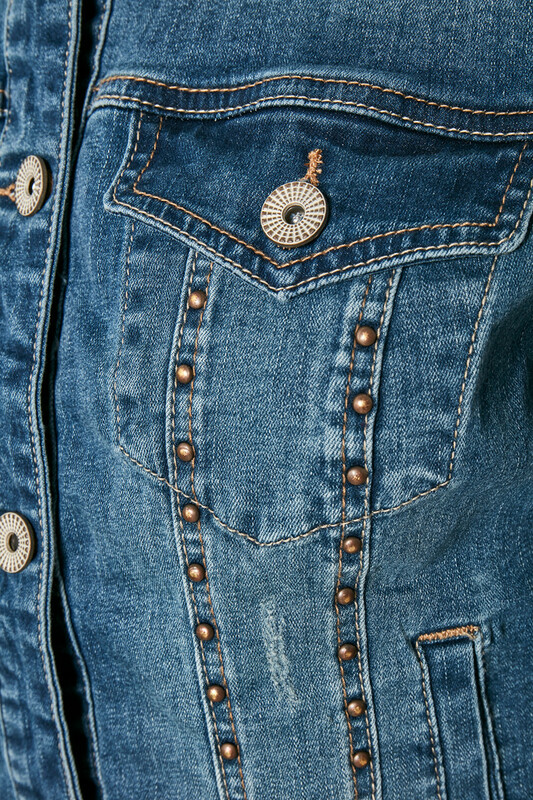 The jacket has decorative details with its rivets. 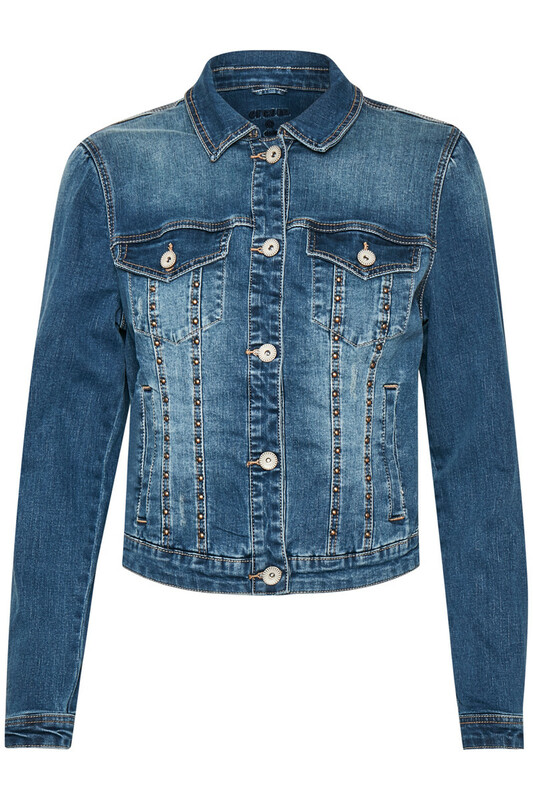 An absolutely cool and comfortable denim jacket, with long sleeves and button closures. The jacket has a very classic and timeless design – with a twist of rivets, but the design makes it work with almost everything from your wardrobe. In other words – The perfect short denim jacket for spring.